A HewesCraft 180 Sport Jet In Action. Hewes Marine Company Inc. Started shortly after Bob Hewes return home from World War II. A family venture between himself and his younger brother Ralph. Although Bob and Ralph have long since retired, the company is now guided by the second generation family leadership of Bill and Dave Hewes. 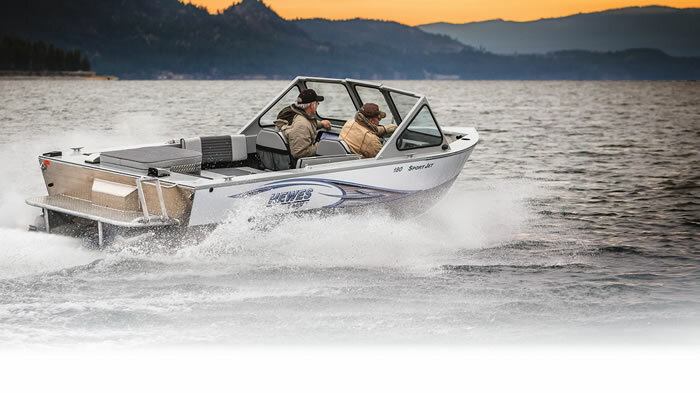 Today their factory in Colville, Washington produces nine different series of boat models including an aluminum jet boat.